It’s January 3, 2013, already! Three days into the New Year! And, the blank page and I have been having a bit of a stare-down with each other. What to say to mark the start of the New Year? What image to post? Feeling a bit daunted by the task, time has been slipping by. Time to show up and hope for the best! Hope that words will come. Or, that the image will speak. Or, that I will let go of judgement for a moment, and let the work – its strength and its weakness, and my experience and inexperience – speak. Take the risk of being seen – just where I am. And, that is where I begin, on this day, in this new year. Stepping out to be seen. Taking the risk. Living with the ‘not knowing’ as much as I’d like. And not ‘being as good at photography’ as I wish I were. Letting go of all that, and just beginning. And, in the midst of beginnings, I am sending the warmest of wishes to all for an amazing 2013 – full of joy, peace, good health and prosperity. Oh, and a big dose of creativity, too! All the very best! 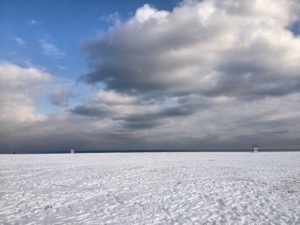 This image was taken yesterday, in Toronto, on the shores of Lake Ontario. As I was driving along an industrial road near the lake. I’d been looking for a boat. I had spotted what looked like a retired tug boat while I was on the highway during the week. Looked like good photograph material to me. So, on a cold – I mean really cold – Saturday afternoon, I went out to look for it. 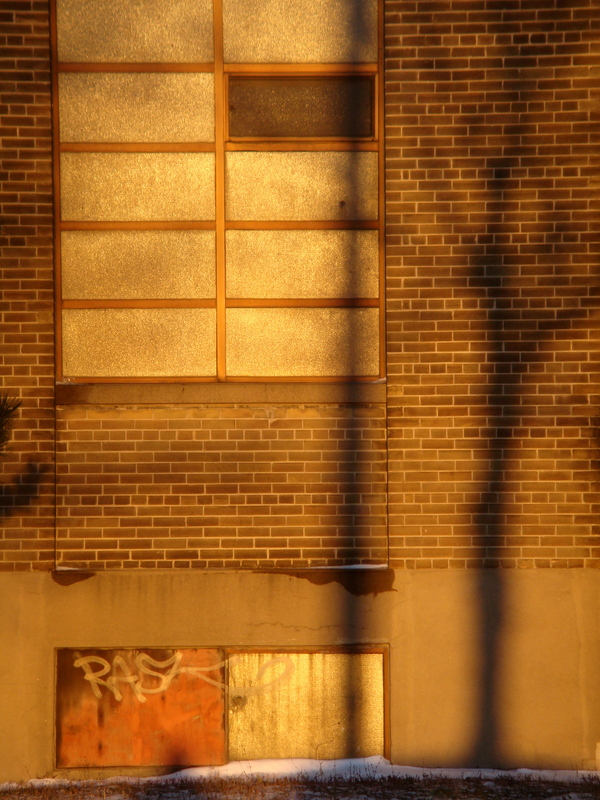 This old curmudgeon of a building, bathed in sun light. All lines and rectangles. Windows and brick. The lovely, soft lines of the shadow tree. And, the uneven line of snow at the foot of the photograph. I loved all of this. And, I imagined the stories this building could tell. Of dreams of the future and glories sought. Of hard times, and staying power, and standing tall. And, perhaps, of surrender to change and the world moving on. Sun-drenched memories of the past and appreciation of the present captured on a winter’s day.